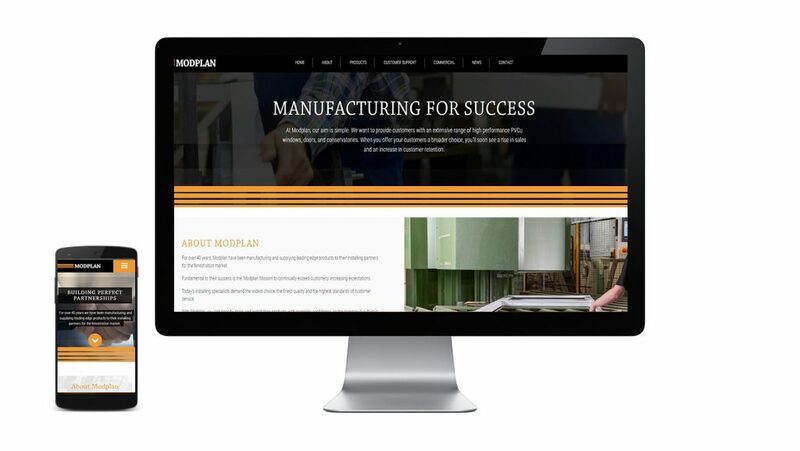 “For example, we have developed a system that would allow a fitter to photograph anything onsite and raise a non-conformance report instantly that would allow Modplan to react to get the job back on track. All the data is then available on a dashboard to review with our customers to identify improvements we both can make.” “Modplan also use the data to drive improvements with our suppliers to benefit our customers. Every section of the site has been carefully thought through so it’s intuitive and easy-to-navigate. Visitors can browse the website from any device as it’s fully responsive across all platforms. Justin continues “Modplan customers will have access to our new portal where brochure downloads and technical data will be available”. “For our customers who operate multiple sites we can also to introduce some of the dashboard functionality we use for Export customers to show site by site performance on a range of metrics”. Most importantly, the new website meets all the requirements of the new General Data Protection Regulation because protecting customers’ privacy is a responsibility Modplan takes very seriously.